After securing finance, spending months searching the property market, scouring the internet and attending countless home opens, you’ve finally found a property that meets your requirements and budget. But then you’re told the property is tenanted. 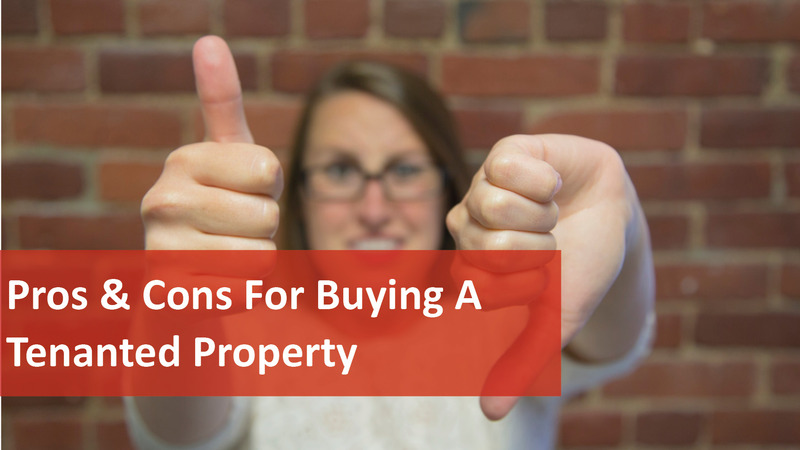 Depending on your situation and your intentions for the property, this can prove to be either a help or a hindrance. So what are the pros and cons you need to be aware of? Save money: you don’t need to pay a letting fee or spend money on advertising to find a tenant. Save time: you don’t have the hassle of having to vet applications and choose a tenant. Receive rent immediately: you can start receiving rent from day one and can rest assured that your property won’t sit vacant while you look for a tenant. Sub-standard tenants: the existing tenant may not meet your standards, fail to pay rent on time or take care of your property in an appropriate manner. Difficulties with the tenant: the tenant may not appreciate your style of management compared to the previous owner. Inadequate contracts: the tenant’s lease may be inadequate (in some cases no contracts at all) or the terms of the lease might be unfavourable to the owner (under-priced rent, long-term contract, inspections too infrequent). Maintenance requests: with a new owner, the tenant may see this as an opportunity to lodge their list of maintenance requests, leading to unexpected costs for you. When acquiring any property, particularly a tenanted property, it is crucial to ensure all relevant documentation is reviewed prior to unconditionally purchasing. This can help to mitigate the risks and ensure you have a comprehensive understanding of the associated contracts, such as lease agreements. Additionally, in the case of tenanted properties, it pays to do your research on the tenant by asking questions of the current landlord, property manager and selling agent.